Discussion in 'Creative Archive' started by Myth Busted, Sep 29, 2010. Hello. I'm Antisocial: ALSO KNOWN AS; Bayou King, or JATORC or whatever you wanna call me. Antisocial is the main name, though. I've been here a while, and noticed that my sprite thread hasn't kicked off much. Upon discovering TinyPic (hooray for persistence!) I have now decided to officially open this shop for requests: I've got a lot of rules for several different sprite styles that I do, obviously, so if you want a request; plase pay attention and read. 1. Please name the base sprite you want me to use for your mugshot. This is the sprite that I will edit, and change to your specifications. I will use base mugshots from Black and White, Paltinum, and HeartGold/SoulSilver. 2. I would seriously appreciate it if you were to supple for me an image for me to go by in your request. It would be extremely helpful, and it would be more likely to please the customer. 3. Give me time. Despite everything you may assume; I have a crumbling social life that I strive to keep intact for the time being. I will get around to it, though. 4. I'd love it if you could give me a credit if you are using any of my sprites in your avatar or signature. 5. Constructive critiscm is not required, but I'd for sure appreciate some! 6. One request per person, please! OK folks! The sprites now WORK! One question: How do you get your pcitures in the post without having to attach them? Above the row of smilies is a tiny little potrait that looks like the Mona Lisa. That's the image-tag button. Hit that and play with it. I've tried that before, but cannot find a way to place my sprites on the internet as a single URL. Are you using an image host like Photobucket or Imageshack, or are you loading them from the C:\ drive? If it's the latter, go for the former. PokeKid, I will get started right away! Have you tried uploading them on tinypic? its perfict!!!!! i love it thanks antisocal! I have one. I think I'll keep that in mind. Thanks for the feedback- well appreciated! These are really great sprites! However, it would look better if the arm stayed one thickness, the arm on there starts out fat and gets thinner and thinner. Just keep spriting and you'll get better~! Haha! That was a terribly drawn sleeve! It was meant to be hanging down, but it ended up looking like she'd got some serious muscles! And thanks. 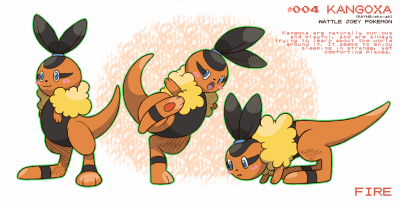 I used to have a quite well known Pokemon fansite many moons ago, and I had lots of sprites- splices, even. I left my site and lost pretty much all of my spriting ability.... from then on, splices were near impossible to me. All the mugs are requests from other sites, except my first self portrait in the first post. Thanks a lot for the feedback! Here is a sprite I made for Kasumi Slater, an epic, epic artist, who made a jaw droppingly awesome picture for me. If you're reading this, then go to her thread, not mine. Anyways, here you go, Kasumi. Enjoy! I will soon be doing full trainers. Some of my examples for full trainers will be up in due course. You're an amazing spriter- you've got all the details like my hair colour and jacket right down to my eye colour- it's perfect! Thank you so much I shall use this sprite in the near future on dA!! I first thoght when i saw the start of your thread i thought your sprites need a bit of touching up but then i saw your latest one which is AMAZING! These are two of my OCs in trainer pose and mugshot forms! Please tell me, are they good? I'd like to think so. Inspired by two awesome cast members from Saturday Night Live, I felt this needed to be done. ... Wow. Something SNL-related! Cool! Anyway, yeah, those are cool. With Fred, I tried, because he's (in my opinion) funnier than Bobby, but I'd like to maybe have a go at the other characters from SNL soon. I'd love to do Bill Hader, Bill Hader as Stefon, Kenan Thompson and Kenan Thompson as DeAndre Cole, and probably Kristen Wiig. Maybe as Gilly. What happens when the body grows old, but the trainer doesn't? Back in the days, Tony was a prize trainer. He won clean sweeps across all the regions, bagged legendary Pokemon, established his own gyms and competitions, and was highly respected. Although Tony continues to try bagging new Pokemon, and continues to feel the excitement of being a trainer, he has become a tad deluded, and seems to live in the glory days. His team of Pokemon from his native Kanto region are still extremely skilled, but they seem to be getting on a bit as well. Tony resents the thought of abandoning his team, where they are skilled, they are also exteremely slow, and easily beatable. 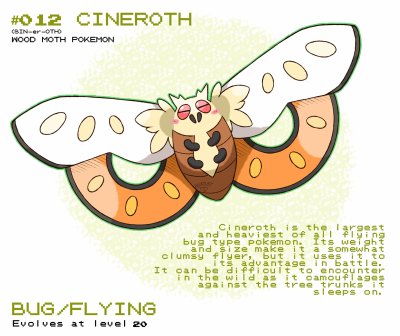 He is currently the owner of a small house in Viridian City, where he has lived for a while now. He likes to fall asleep. He once did so in the middle of the road.... not that that means anything...... hehehe. So, what do you think? Cool character of awful character? More importantly, how's the sprite? I'm not great at spriting, to be honest, but I just was desperate to get a new sprite up here soon, before this place really got abandoned....! Thanks! And please leave feedback. AND PLEASE REQUEST! This here is just a bad sprite, that I didn't try hard on, and that turned out how it deserved, but I am sick of making sprites for here and deciding against posting them. Another mug of the sprite posted above.